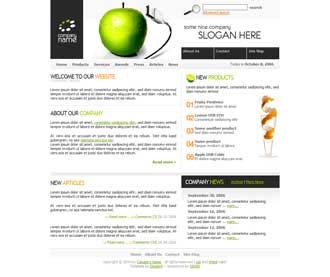 Second free xhtml/css website template is here. I named it Apple-Orange, because of that big apple photo and that sliced orange on the right. This design is kind of refreshing. Well see it for yourself.